EU – Asia Gateway 2018 – The 4th Transylvanian International Clusters Conference is an annual event that resulted from the necessity of creating joint innovative projects, with a major impact on the community, but also on the industries that the member entities are part of. 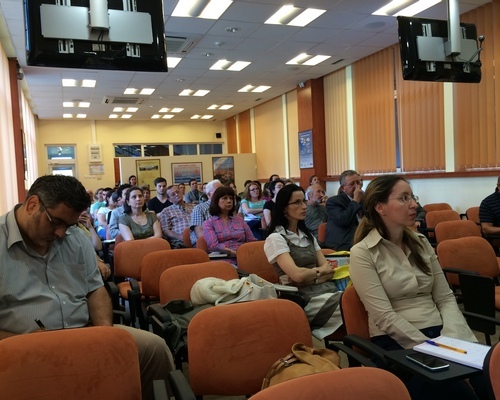 The conference reunited more than 300 participants from Romania and abroad. 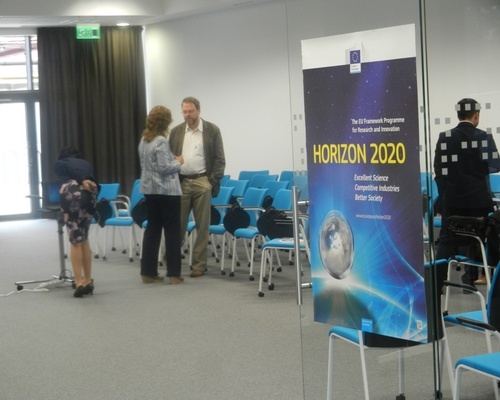 The event aimed to bring together partners from EU and Asia, such as clusters, but also companies from the following fields: ITC, bioeconomy, agriculture, furniture, production, creative industries, tourism. We wanted to provide the appropriate framework for the creations of strategic partnerships between representative structures and regions representing the two continents. 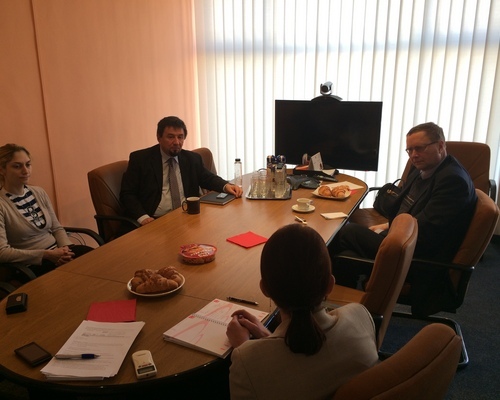 In the aforementioned context, the Northern Transylvania Clusters Consortium, is a relevant association in Romania for the projects generated and the support provided to the economic environment, aims to promote cross-continental collaboration models for addressing global challenges. 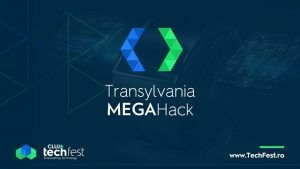 ARIES Transilvania is co-organizing Transylvania MegaHack, between 4-5 November at CLujHUB. The Smart Cities concept is getting more and more present and necessary in our urban lives. This is why, with our partners we are bringing the topic even closer to the future users, to the administrations and to the companies which could offer solutions in this field. With this occasion we are getting in a even stronger dialogue about how we could really activate the topic at a local and at a national level in a collaboration with agile local and national administrators. This event will reunite the industry’s leaders, entrepreneurs and investors, European decision makers, authorities and representatives of academia, with the purpose to find solutions which will help Romania to benefit on European level from digital transformation of industry, economy and society. There is no shortage of reasons why investors choose the United States – from the business-friendly environment and quality of life considerations to specific technology, supply chain, infrastructure and workforce factors. The nation’s diversity and openness are what truly allow businesses from all countries and industries to find their place in the market – and thrive. Businesses investing in the United States, regardless of industry, gain competitive advantages from one of the most open markets on the planet. The United States is consistently ranked among the best internationally for its overall competitiveness and ease of doing business. Backed by a regulatory environment that is particularly conducive to starting and operating a business, U.S. business culture encourages free enterprise and competition. As a stable democracy with a transparent and predictable legal system, all companies – regardless of national origin – compete on an even playing field. The United States hosts the most developed, liquid, flexible, and efficient financial markets in the world. A wide range of funding sources – from banks and investment firms to venture capitalists and angel investors – enable innovation and expansion, giving companies in the United States an important advantage. Between 28th-29th October, ARIES Transilvania will participate at Hacking Health Hackathon, a hackathon based on healthcare subjects, organized by our colleagues from Smart Everything Everywhere (SEE) (GovITHub initiators), along with Johnson & Johnson team from Romania. Hacking Health Hackathon will bring together experts in the domain of healthcare, developers and software architects, students and young entrepreneurs in IT, and they will try to find together innovative ideas and software solutions, applications and platforms with an impact on improving the health of the population. At the end of Hacking Hack Hackathon, the participants will be invited to present their developed prototypes to answer to specific needs of our health system. Will be chosen three winning teams which will receive $ 5.000 each on pre-seed funds in order to develop their innovative solutions and applications in the following months. The selection of the participants will be based on: professional qualification and technical abilities and the project idea, send with the application and also, showing interest for the e-health and healthcare domain. 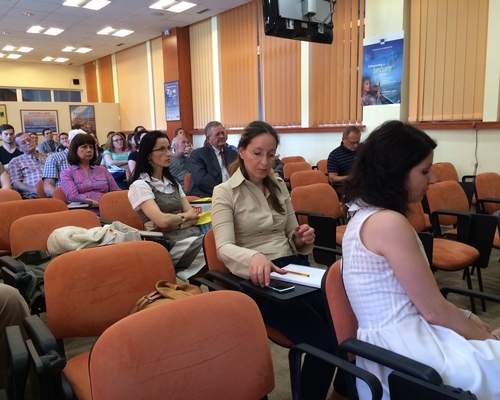 ARIES Transilvania participated at the Satellite Imagery and Climate Change Mitigation Conference, on April 6th 2017 at Baia Mare in order to discuss the impact of climate change. Climate Change is a global event with a strong impact on local communities. Biodiversity, Agriculture, Forestry (and snow) are at risk. The European Space Agency provides the tools (aka satellites) that enable us to understand, mitigate and adapt to climate change, protecting our forests, biodiversity and enhancing our environment. ARIES Transylvania is organizing on March 28th a workshop on Accessing European grants – innovation and new technologies, with the participation of Mr. Victor Negrescu MEP. Romanian MEP, Mr. Negrescu is winning MEP Awards for Digital Agenda. Experienced in the field of innovation, accessing European grants and the many projects it has coordinated in the European Parliament on these topics, will make him a valuable contribution to this event. The event is aimed at IT companies and innovation companies in all other fields. Please confirm your presence at: aries.transilvania@gmail.com until March 23th. Between 24 to 28 April 2017, ARIES, with FEPA-CM, will organize the participation of our members at the fair Hannover Messe in “Industrial Automation” or “Digital Factory” hall, depending on your option. The profile of the delegation is automatics, electronics and software. Participation is supported by the Romanian delegation MECRMA in the format you already know the maximum number of participants will be 10 companies. Between 20 to 24 March 2017, ARIES (Romanian Association for Electronic and Software Industry) attend CeBIT in Hanover Germany, an exhibition of ICT regarded as the biggest annual event in the field of information and communications technology. Participation in the fair offers companies operating in the industry the opportunity to promote products and software solutions, identifying new business opportunities and cooperation with foreign partners in various projects. The conference aims to make a real contribution to improving the state of the environment, encourage the development of the IT sector in member states and push forward cooperation between participating companies and public institutions. The conference will feature pre-arranged B2B meetings that will provide you an opportunity to make new contacts and sound out new business opportunities. Participants from 57 OECD member states are expected. Become the Cluj Tech industry Awards Partners, supporter or Gala activators. Inspire the business audience through a keynote opening speech, hand awards or co-brand the cocktail. The largest international trade fair for IT and computer technology in the world, CeBIT 2015 will be held between March 16 to 20. The key word of the year 2015 will be “d! Conomy” through CeBIT 2015 will address the digital environment that shapes our environments and personal lives. Big Data, cloud computing, mobile access and security issues in high interrelation growing impacts on business and society. It is expected that all the actors involved in ITC will participate. ARIES Transilvania is one of the leading sustainers of the business environment that provides support in attending this great event. ARIES Transilvania will support the participation of the Romanian companies at the most important specialized event in mobile communications, between 2 to 5 March 2015 in Barcelona. The Global Mobile Awards Programme, which recognizes the innovation and achievements occuring in the industry. From 11 to 14 November 2014 in Munich will be hosted the 26th edition of the international fair for components, systems and electronic applications. It brings together leading manufacturers, service providers and distributors in electronics, namely: Automotive Electronics, Industrial Electronics, Wirelles, medical electronics and MEMS sectors. 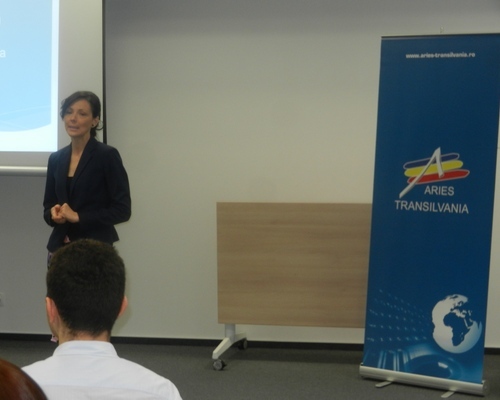 ARIES Transilvania is co-organizer of the Cluj Innovation Days 2014 event, the ITC forum held annually in Cluj-Napoca in order to facilitate interaction between members of the Romanian business environment and their public authorities, with the main focus on innovation. 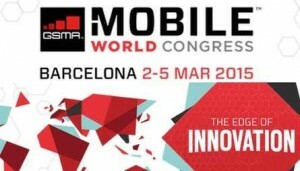 Between February 24 to 27 in Barcelona was held the Mobile World Congress, the most prestigious event of the mobile industry worldwide. 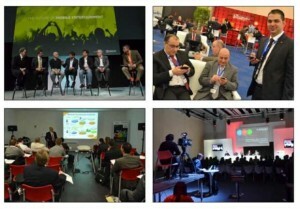 In the context of the development and diversification of the global mobile industry the event offered the members of mobile phone and software industry companies who attended the Congress the opportunity to present their offer, to update with the latest offers in the new technological developments and to participate in networking sessions that analyzed both future growth areas of the industry, but also exceptional possibilities of concluding partnerships and sustainable business contacts with representatives worldwide. Congress agenda included both plenary sessions and workshops on specialized areas critical to the mobile industry representatives, electronics and software, such as: the future of communications, data analysis, smart grids, the latest technology in mobile, e-payment and e-commerce methods, selling markets and many other topics of interest. With government support, Romanian Association for Electronic and Software Industry (ARIES-Timişoara) was responsible for Romania’s participation in this Congress. 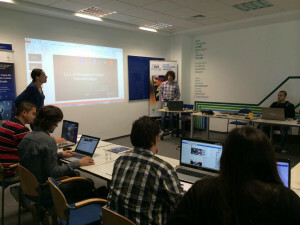 ARIES, the most influential organization created for the ICT industry in Romania, with 4 branches area in Timisoara, Brasov, Cluj and Craiova, is considered the largest association of its kind in Southeastern Europe and now is the most important and credible source of information for the business community ICT. The 14 companies that represented Romania at the highest level at the Mobile World Congress are: Arobs Transilvania Software, Codespring, IT Six Global Services, Medianet Group, Renovatio IT Solutions, RINF Outsourcing Solutions, Ropardo, Simartis Telecom, SimPlus, Lasting Software, Transilvania Software, Allview, Appscend and XL Team.